We are back with another popular Keurig K-cup on sale that you will go crazy for! This coffee appears in the Amazon top selling list for coffee and the great part is- Cross Country Cafe can beat their best price by over $1.00 per box! 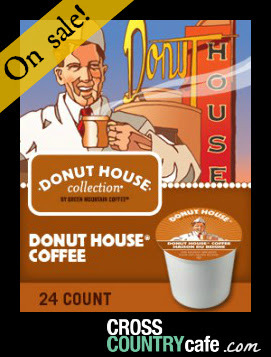 Donut House Collection Keurig K-cups are $11.99 per box of 24! 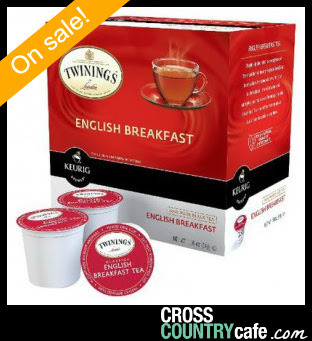 Twinings English Breakfast Keurig K-cup coffee is on sale for $9.99 per box of 24! Twinings English Breakfast Tea K-Cups contain a blend of black teas from several origins to make a cup of full bodied robust tea that is great with breakfast or at any other time of day. Let’s not forget our new line of Nespresso compatible capsule, this a whole new audience of coffee drinkers for you to capture and guess what, they are ALL on sale!! ALL Hiline coffee Nespresso compatible capsules are on sale for $4.99 per box of 10! Last chance to include the our two giveaways for this month for quick clicks and an easy 45 day cookies! Win SEVEN full size boxes of Hiline coffee Nespresso compatible capsules! Entrants will be accepted through October 31st, 2014. Monthly Keurig K-cup coffee giveaway- each and every month we will be giving away four full size boxes of Keurig K-cup coffee to one lucky winner! But, wait there is more! Last but not least please feel free to share our free recipe ebook for easy content that comes with a 45 day cookies as well! 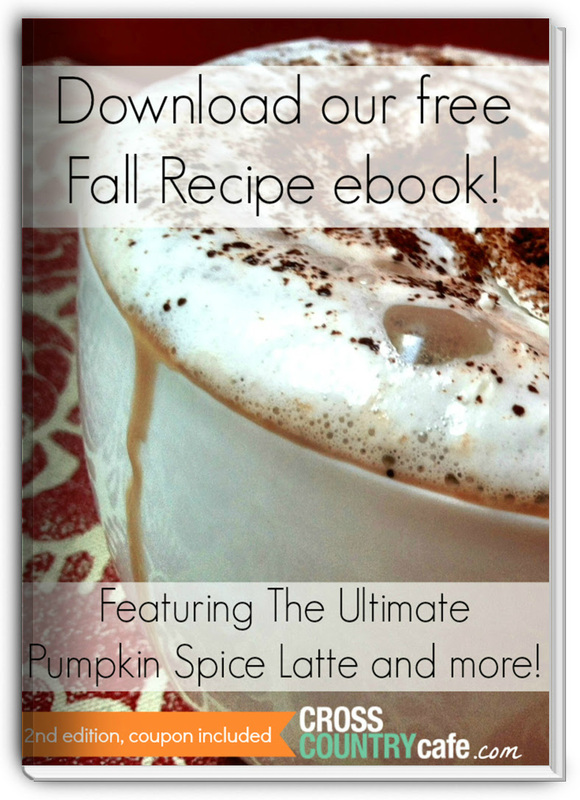 Free Keurig K-cup Fall Recipe Ebook, 2nd edition, money saving coupon included!